A jury convicted Perez of accepting free home improvements from a city contractor and of attempting to extort $100,000 from a developer who wanted to buy a downtown parking lot run by one of Perez’s political allies. Those charges were later overturned and upheld by Connecticut’s Supreme Court in 2013. Perez plead guilty in 2017 and avoided jail time. 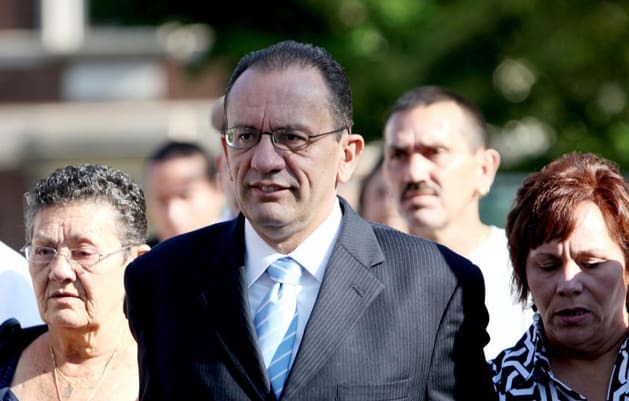 The announcement ends months of speculation about whether Perez would run again, as first reported by CTLatinoNews.com’s David Medina: Eddie Perez: Another Run for Mayor of Hartford? Hartford’s first Hispanic mayor, enters a crowded mayoral race that includes incumbent Luke Bronin. State Representative Brandon McGee, Hartford Public Schools board chair Craig Stallings, and entrepreneurs J. Stan McCauley and Aaron Lewis are also in the contest.